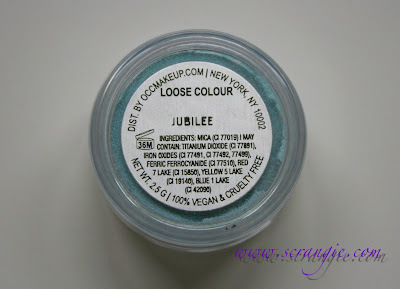 I'm a lover of all things duochrome and iridescent, so when Obsessive Compulsive Cosmetics released Jubilee Loose Eye Colour Concentrate as part of their Pretty Boy collection, it was love at first sight. 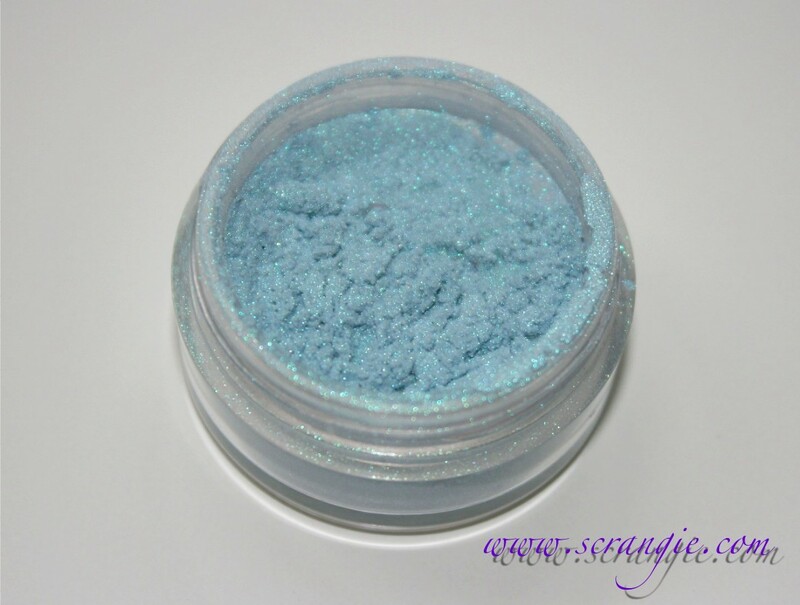 OCC describes Jubilee as a "soft baby blue shimmer," but it's so much more than that. It does have a baby blue base, but it also has a green and turquoise duochrome shimmer. At some angles, it even shifts to a faint purple at the edges. It is magnificent. Swatched over bare skin (no primer). Dry (left), wet (right), with flash and without. You can see how the tones shift with the angle and lighting. From a green-turquoise shade of blue to a sky blue with faint purple accents. Sometimes colors that look this interesting in the jar don't always look as good on the eye... this one does. I've used it a bunch of times and every time it still amazes me. This was the first time I used the color and I was really happy with how it turned out. The blue and green tones mix perfectly with the purple Ben Nye colors. 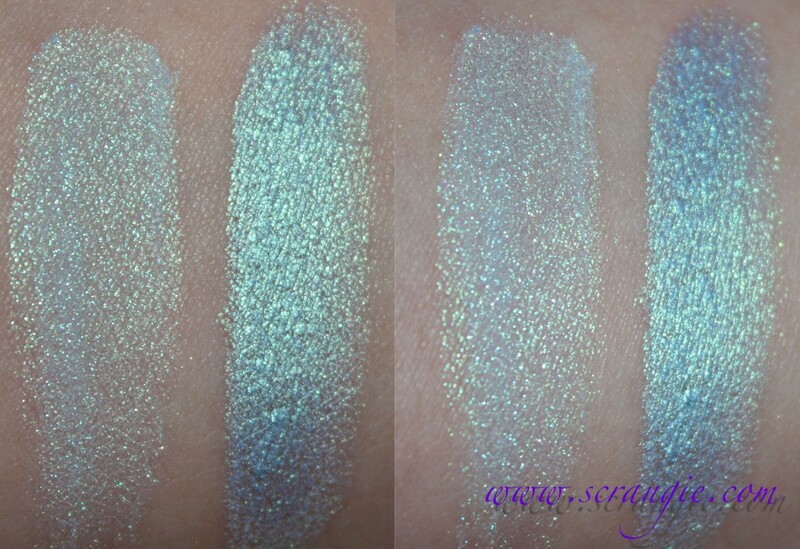 I used Jubilee over a sticky base (the NYX White) and it seemed to make the color shift stand out more. First off, Royal Sugar is insane. It is SUPER BLUE. Combined with the blue-green duochrome of Jubilee, it looks even more amazing. The green sparkles disappeared out of it when I blended it, but Jubilee added some of its own green sparkles, so I didn't miss them. So. OCC Jubilee. Love it. The only downside to it is that it needs a sticky base or to be used wet if you want it to look extra duochrome. 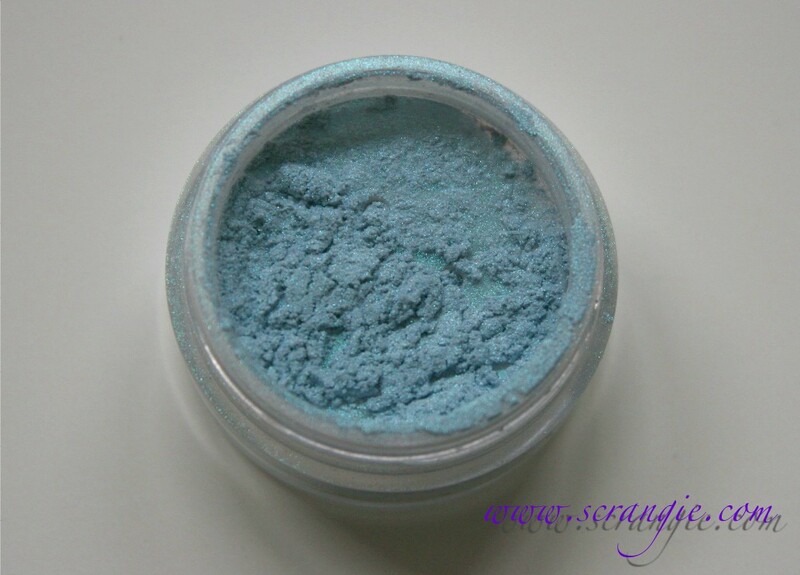 Otherwise it looks like a lightly duochrome turquoise shimmer. Both ways are nice. I, of course, prefer more duochrome, so lately I've been using it wet and it looks even cooler that way. 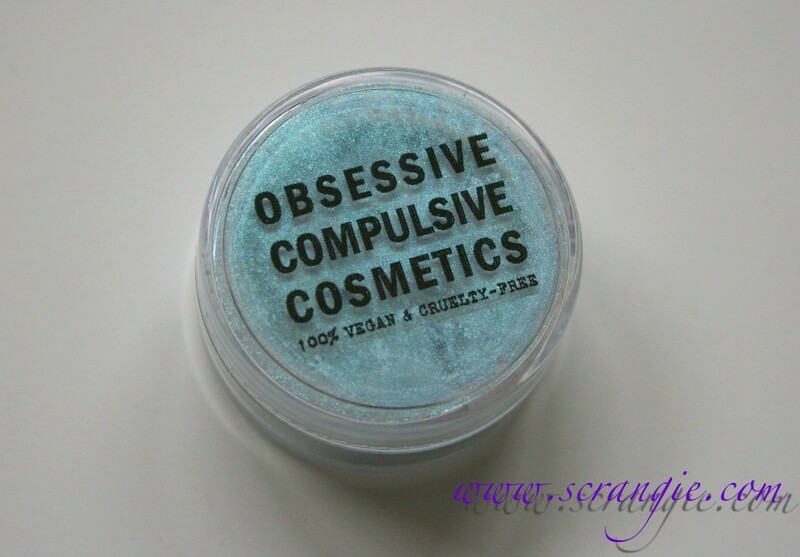 Obsessive Compulsive Loose Colour Concentrates are available directly from OCC and are $12 for 2.5 grams. They have a lot of cool looking colors and every single shade is vegan. Love! 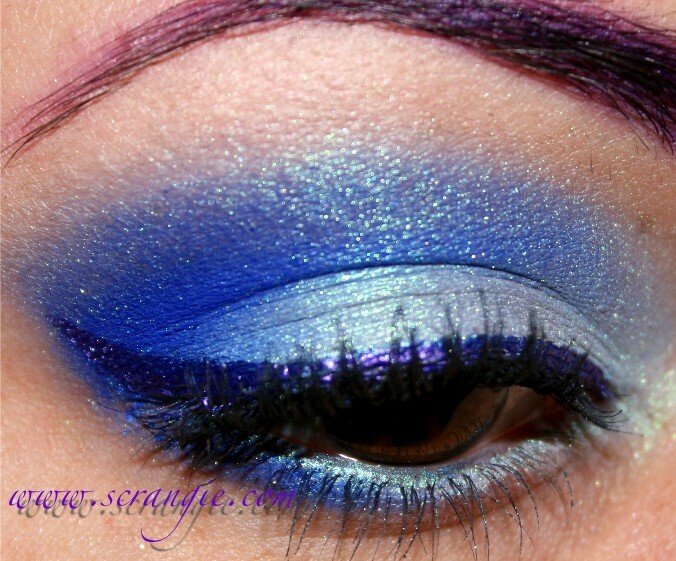 I feel like I have a similar color from somewhere, but minus the duochrome amazingness. Just makes it seem kind of blah now, though. MAGNIFICENT is the perfect word to describe this! Both of these eye looks are ridiculously gorgeous. I've never purchased any OCC items, but lately I feel like I love everything I see from them...my first order is definitely on the horizon! Gorgeous colour! i love it! This colour is fantastic! I love it! Oh wow! Those eye looks are gorgeous! It makes me want this eyeshadow ASAP now! Although I also really wanted Sugarpill's Lumi, and this makes it hard to decide which one I need more. I wish there was somewhere that sold these as samples though! i literally sucked in my breath when i saw the swatches...and i'm not that easy to please. love it. must. have. now! vegan, no animal testing and beautiful?! right on!! Oh wow! 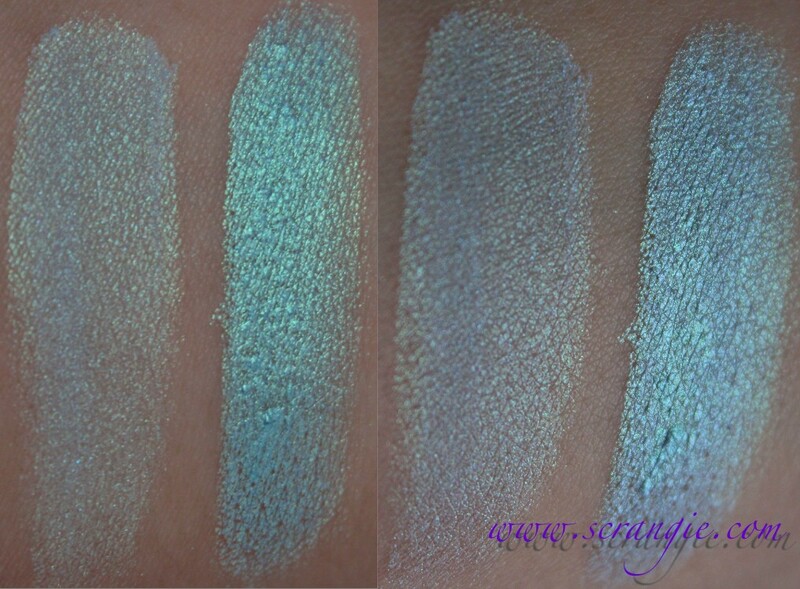 The first look is like your RBL namesake in eyeshadow form! That's an amazing looking product. Your makeup is as always stunning! That blue is gorgeous, I wish I could wear it! But mixing blue eyes with blue shadow never works out. 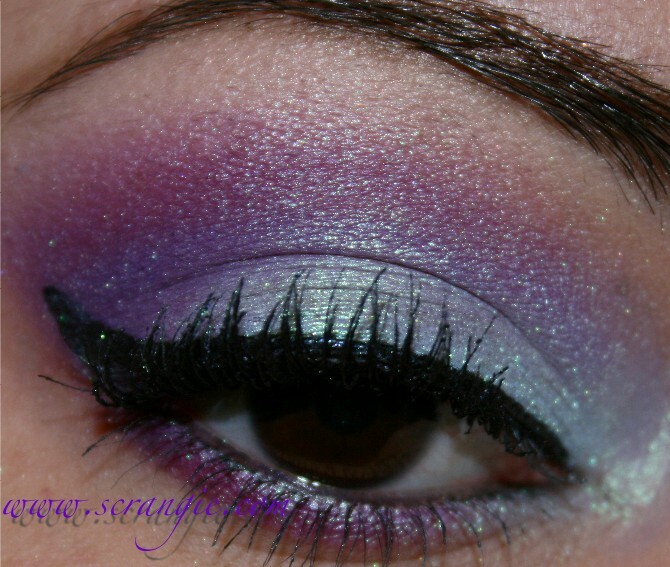 Your two looks are killer and your purple brows = LOVE. 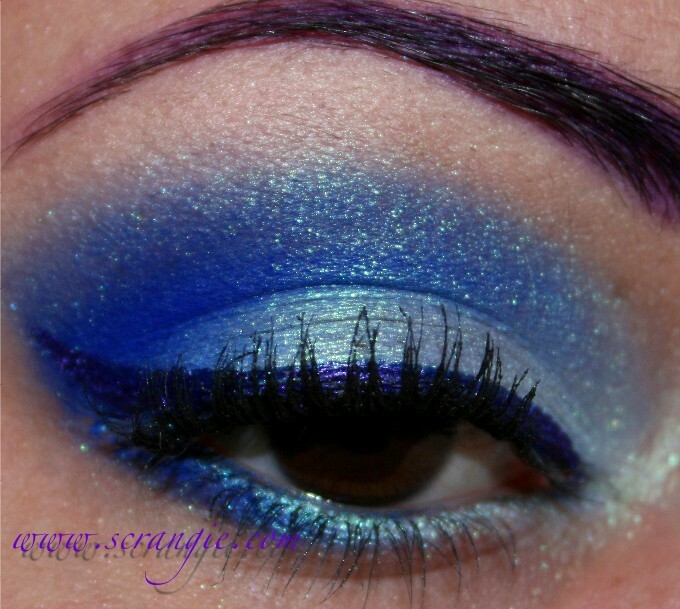 You eye looks are always FIERCE! And if I could get my liner to look like that YOU COULDN'T TELL ME NOTHING! So amazed, it looks PERFECT! Have you ever done a liner tutorial? oohh emm gee !!!!! 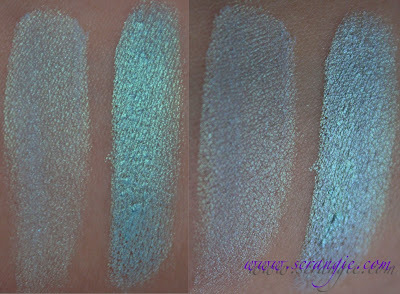 the pigmentation looook soo coool !!! and up in yoface kinda sorta !! 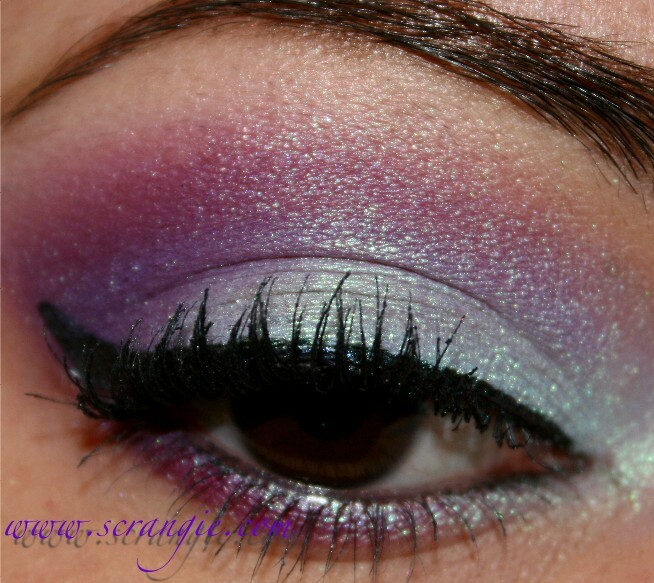 amazing eye makeup ! Okay, both of these looks are AMAZING! I need all of these eyeshadows. Your cosmetics posts are all really well done. Love the purple accent on the eyebrows! OMG your second eye look blew me away! I'm not skilled or patient enough to use loose eye colors like these pigments but I <3 the vicarious thrill I feel looking at your pics and skills! So beautiful. 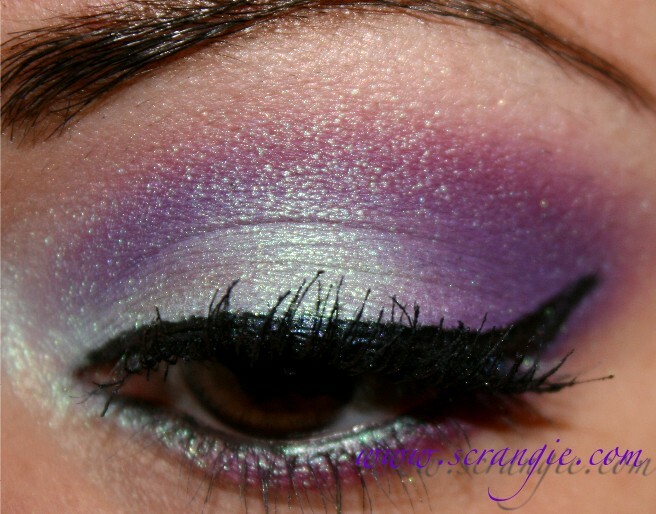 That violet liquid eyeliner slays me! 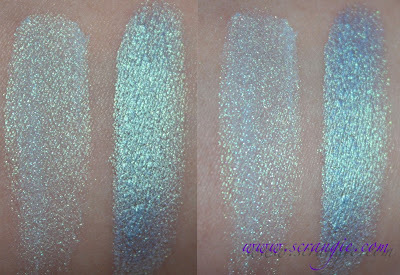 Litlaur is right; the first look is your namesake lacquer in eyeshadow, lol! Wow this color is so beautiful! I love the eye looks you did!! So pretty. *drool* That first look. BEAUTIFUL. You are immensely talented. The shadow is so angelic-looking! And your eye looks are incredible. 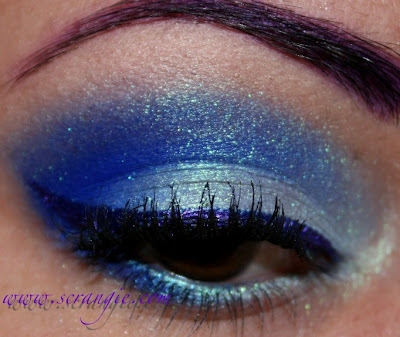 You never fail to wow me with your flawless blending and colour combinations. And I fell in love with your purple eyebrows in the second look. It's just right! Thank you for daring to be different. Maybe I missed it, but what did you use on your brows? It looks almost purple and I love it! Where do you buy Ben Nye? I only see it on Amazon and very limited selection there. Adding this one to my wishlist. woahhhh this is amazing! I have to have this! It's going on my list! Thank you so much for sharing the stunning eye looks as well. Both of these eye looks are totally gorgeous. But the all-blue one in particular is just WOW!! Sparkly true blue gradient heaven. And you have purple brows! I think you're my new hero.